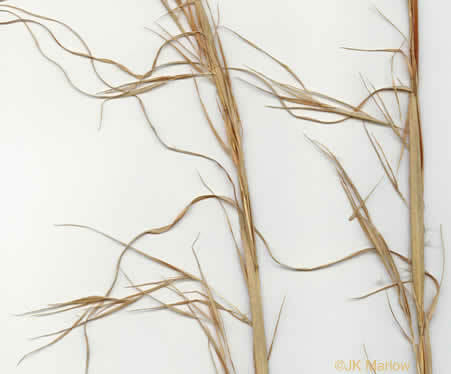 Broomsedge, Broomsedge Bluestem, Old-field Broomstraw, "Sedge Grass"
Dried curled basal leaves remain through most of the summer, per Forest Plants of the Southeast and Their Wildlife Uses. 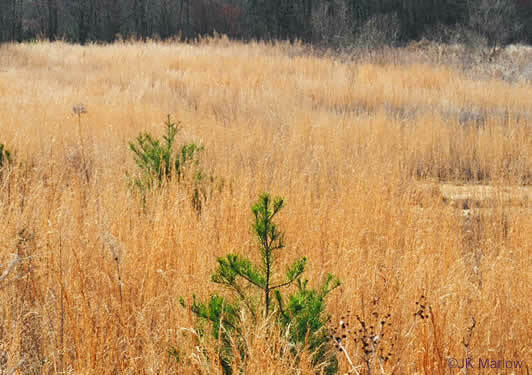 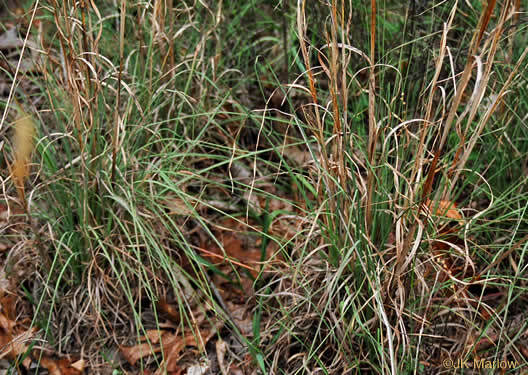 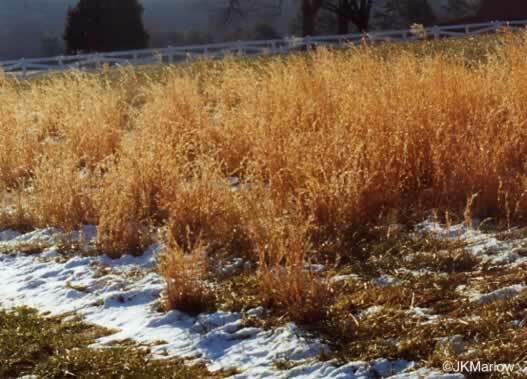 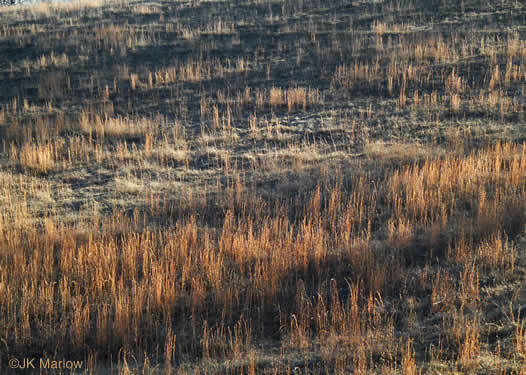 Dried straw-colored plants remain upright until the following spring, per Forest Plants of the Southeast and Their Wildlife Uses. 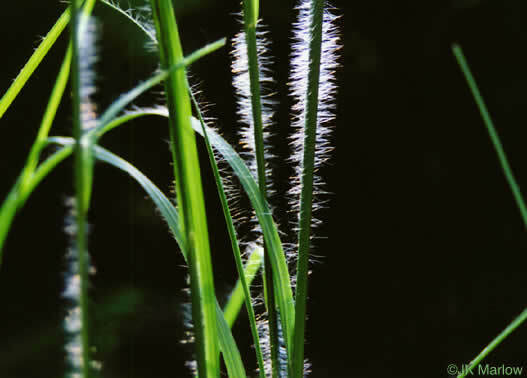 Leaf blades flat or folded, 2-5mm wide, pilose on upper surface toward base, per Manual of the Grasses of the United States. 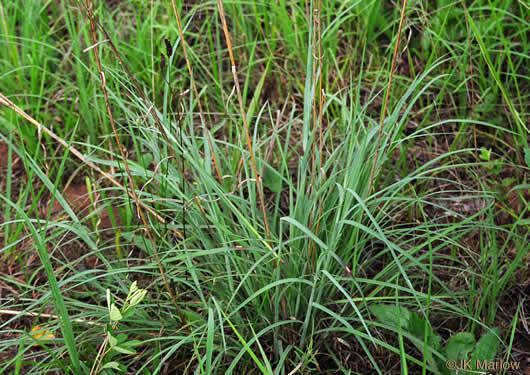 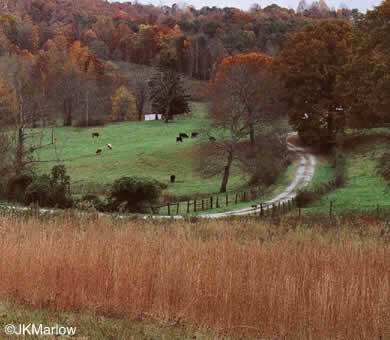 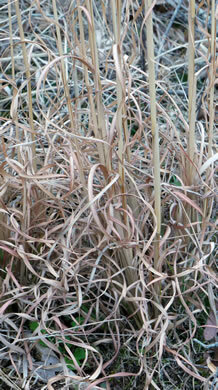 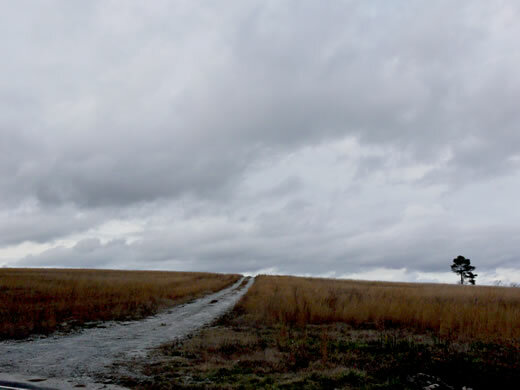 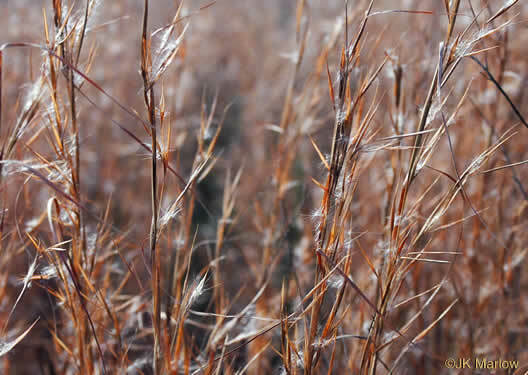 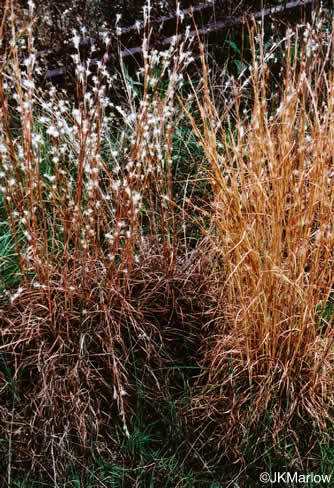 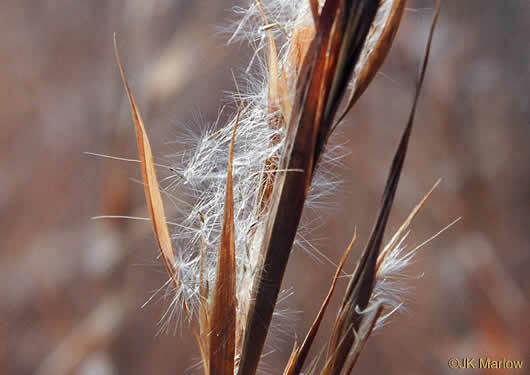 On the left is Splitbeard Bluestem; on the right is Broomsedge. 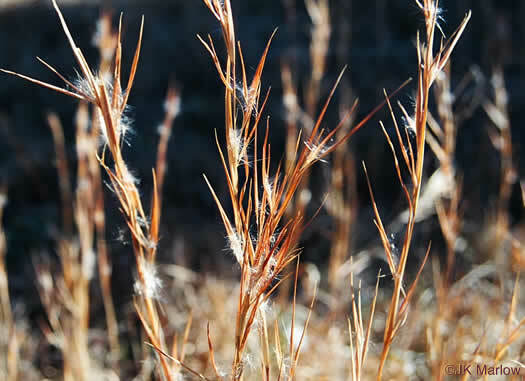 Inflorescences distributed somewhat uniformly in plant's upper half or more, per Wildflowers of the Eastern United States.